Family Promise has been committed to feeding the hungry since 1991. Over the past 27 years we have served over 1.2 million meals. 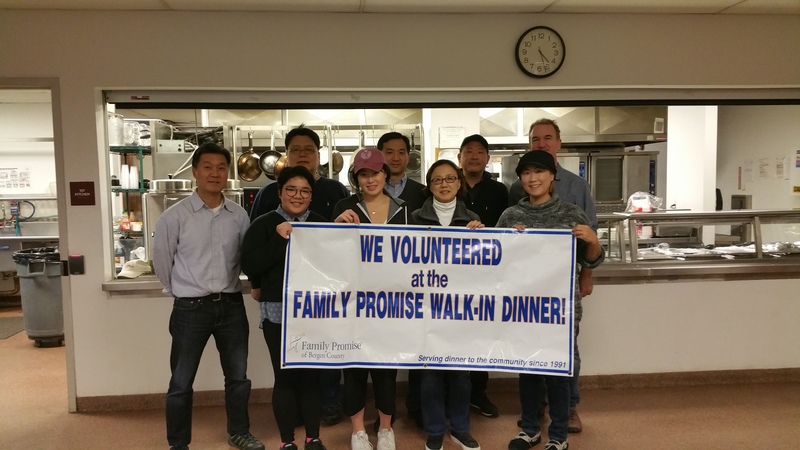 Every day of the year, a group from our network of congregations, businesses and civic organizations prepares and serves a nutritious meal for up to 150 people at the Bergen County Housing, Health and Human Services Center in Hackensack. Many of our guests are residents of the shelter, but the program is open to everyone in the community, no questions asked. Special meals are served on Thanksgiving and Christmas. Please note that cooking must be done off-site and dates are scheduled several months in advance. For more information on how your organization can get involved, or to schedule a date, please email our Director of Volunteers, Margo Heller, mheller@bergenfamilypromise.org, or call us at (201) 833-8009. For complete instructions and helpful tips, please download our Walk-In Dinner Program packet.